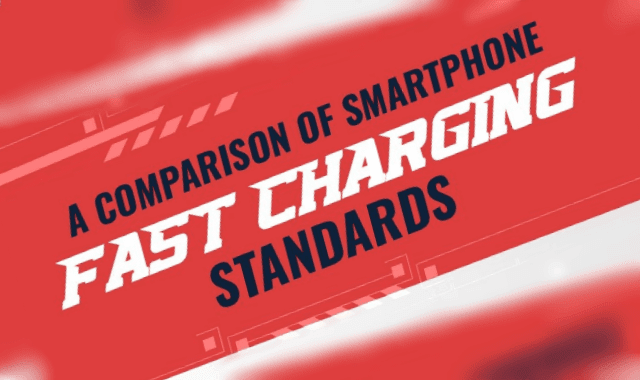 A Comparison Of Smartphone Fast Charging Standards #Infographic ~ Visualistan '+g+"
Our lives demand extensive use of smartphones. It's safe to say that daily tasks and most of our communication depend on it. With this comes the need for quick charging or as commonly known, Fast Charging. Making its appearance in Qualcomm chargers about three years ago, the standards for Fast Charging have been subject to several evolutions and innovations. Up until recently, OnePlus’ Dash Charger were considered as the world’s fastest chargers. When we did our own research, we found some surprising results. Turns out there is a better and faster charger out there. Have a look at our infographic, to know which charger is better than OnePlus’ Dash Charger.